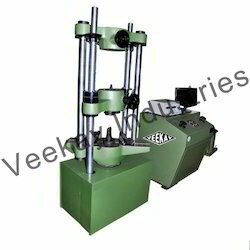 Exporter of a wide range of products which include computerized universal testing machine. We are one of the prominent manufacturer and supplier of quality wide range of Computerized Universal Testing Machine, we are engaged in providing quality products to our valuable clients as per industry standard, our products are best in industry and know for their premium quality and high performance. Looking for Computerized Universal Testing Machine ?